Cushion cut diamonds are becoming increasingly popular as an alternative to the round brilliant diamond. It is no wonder, with their soft round corners they are the perfect choice for those that prefer something in-between a round and the strong lines of Princess, Emerald, Asscher and Radiant cuts. 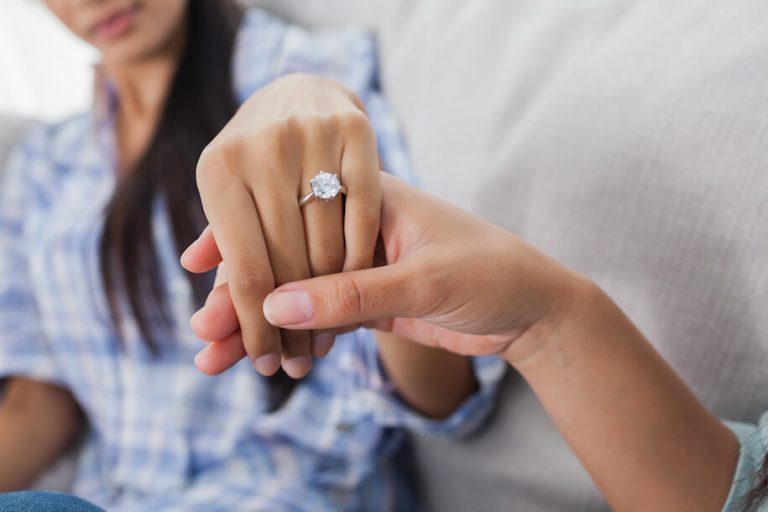 The cushion cut, formally known as an Old Mine Cut, has been around since the 19th century and in recent years we have seen them soar in popularity. Cushion cuts have a similar facet structure to the round brilliant diamond, but vary in shapes from squarish to more elongated shaped, also known as a rectangular cushion. With women all over the world loving the idea of recreating their own vintage or antique inspired ring, the cushion cut makes the perfect choice of diamond. There is just a couple of things to keep in mind when choosing a cushion cut; firstly, stick to a clarity of SI2 or higher and be mindful of any inclusions, particularly those at the top. The larger facets at the top of the diamond magnify inclusions, ultimately affecting the diamonds brilliance.